Clifford Joseph Harris Jr. (born September 25, 1980), better known by his stage names T.I. 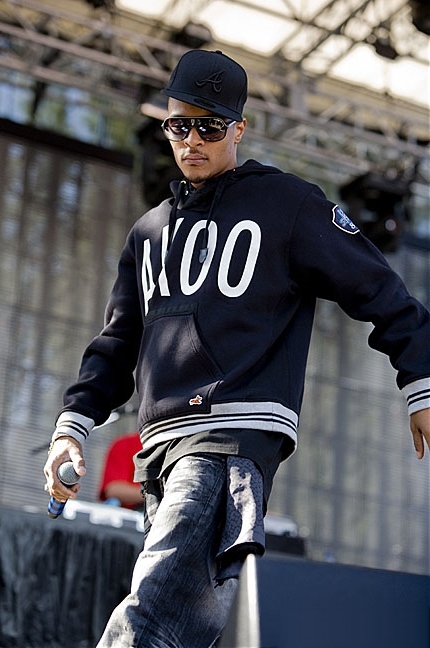 and Tip (often stylized as TIP), is an American hip hop recording artist and actor from Atlanta, Georgia. He signed his first major-label record deal in 1999, with Arista Records subsidiary, LaFace Records. In 2001, T.I. formed the Southern hip hop group Pimp Squad Click (P$C), alongside his longtime friends and fellow Atlanta-based rappers. Upon being released from Arista, T.I. signed to Atlantic Records and subsequently became the co-chief executive officer (CEO) of his own label imprint, Grand Hustle Records, which he launched in 2003. T.I. View All Songs by T.I. View All Albums by T.I.